Hey there I’m Rosie! Welcome to my blog, I Heart Recipes! I was born, and raised in the Pacific Northwest.. Seattle to be exact. I didn’t go to culinary school. I’m simply a self taught cook, that loves to experiment. I guess you can say that I’ve always been about that ” kitchen life”! Today aside from being a busy homeschool mom & wife, I am also full time food blogger, and social media influencer! You can find me here (which is my main site iheartrecipes.com) , My YouTube Channel, on Facebook, and I’m also on Instagram! lady you should be the next Paula Deen your food looks wonderful cannot wait to get home buy some can biscuits already have cinnamon thank you so much for sharing. I love your meals Ms Rosie and have lots of your vids save! Thanks for being a GREAT COOK! Hi Rosie! I’m so glad I found you. I look forward into adopting some of your delicious recipes, as I’m an avid cook and baker. I was reading your bio and I too have had a similar childhood experience; in fact, I grew up in Tacoma, WA!!! I miss living there so much. Any hoot, again I look forward towards the fun filled experience with your ingredients! Take care. I can’t find your mac n cheese recipe on your blog. I saw your video directing me to this blog for the exact recipe but I just can’t find it. I looked through the macaroni and cheese recipes but they were not yours. Help. Your blog is really beautiful and well constructed. Please use the search tool. All the macaroni and cheese recipes listed on my blog are mine. I would love a Crème Brulee French Toast Recipe made from Challah Bread. So far, there isn’t a youtube recipe on how to do this anywhere! It would be nice to have by Easter and Mother’s Day! Wow your recipes on YouTube are amazing! I hope you have enough food at your place. I also hope that you feed your brother. You live by yourself? That’s crazy! I was born and raised in New Orleans. Creole and Cajun food is my Bali wick. I cook a similar chicken etouffe which is just smothered chicken in a roux gravy. I must say that I like the twist of putting milk or cream in the gravy. Can’t wait to try it out on some bone in thighs I have to defrost. I am glad for the blessings that you have received, your husband is blessed toi. He has a beautiful wife and she can cook soul food like a diva. Oh, let’s not forget his child too. It is great coming across your blog. I signed up for emails. Just an old white guy married 35 years 2 days from now to my eternal bride, my queen. Growing up in New Orleans I witnessed much social injustice that shouldn’t be allowed to happen to any of God’s children. Alan Brown now in Michigan 25 years cause I married a damned Yankee… I mean a sweet northwestern girl that has put up with me and stood by my side or pushed from behind in some adversity. But she has dedicated herself to our Eternal Marriage. We do not believe that at death do we part. Hi Alan! This comment made me chuckle!! 35 years of marriage? That’s beautiful!! Thanks so much for following my blog!! you’re beautiful and a great cook! 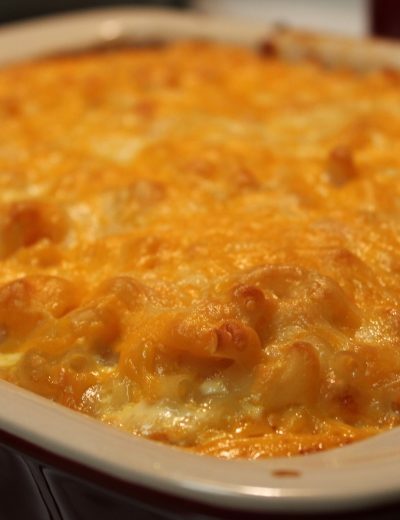 I love macaroni and cheese casserole but don’t know how to make it. I especially like it made with Hoop cheese. Can you please tell me how to make a mac and cheese casserole? Hi Freda! 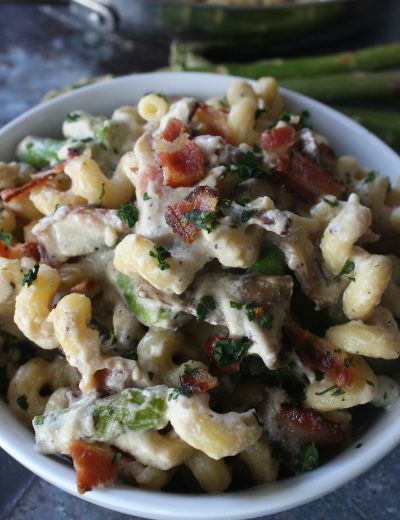 I don’t have any macaroni & cheese recipes with hoop cheese, but I have several recipes. Rosie your mac and cheese do you use the whole box of elbow macaroni? Make me want to cook right now !! Thanks so much for the sweet words! Hi Ashley! I will try to do salmon soon. Rosie, Your food looks good and I was taught how to cook by my mother and grandmothers from a small rural town in Ga. We have similar cooking styles and everyone tells me that I should be a restaurant owner. I love good comfort foods. Your Black eyed peas look just like mine. lol. It’s a compliment when family and friends tell me I can burn in the kitchen like my mother. She passed on 3 years ago leaving me a legacy of good down home southern cooking recipes and memories. I am 52 and all my immediate family that I was born into has died. Mother, father sister, and brother. Rosie u are the reason I went and brought my slow cooker your recipes are great I can’t wait to see what u make in 2019. I Rosie,love your many recipes,I hear you say on all of your video’s if you like the particular recipe to give it a thumbs up…I haven’t been able to locate any means to do that . Any suggestion’s? Hi Rosie, I enjoy cooking almost anything..so I was low on cash and was thankful I had all the ingredients to make this mouth watering dish. I added a can of hot tomato sauce to mine to get it from drying out. But the finished product had my house smelling Amazing, my son came out of his room to see what was smelling so good. I love it, from one cooking Sista to another. Can’t wait to make the dessert recipe I saw on your blog (Krispy Kreme Bread Pudding) ta die for! Hello Rosie, I love your recipes and I have been following you for some time on YouTube. Glad to see you are from the Seattle area. I am using your sweet potato pie recipe today. 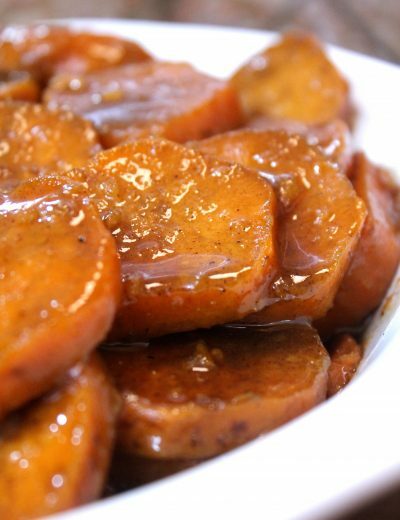 I make candied yams once a year but normally boil them. This recipe sounds and looks best. Aweee. Thank you! I wish that the food network would reach out! That would be amazing! I hope the cobbler comes close to your dad’s sweetie! Love your blog and channel! I’m never eating store bought bread again! Homemade bread all day! I found you on youtube and then visited your website which is now my absolute favorite. I love that your recipes are easy to follow and the ingredients are simple to create something delicious. I will subscribe and definitely support and pass the word along. I’m really glad I found you! I have been cooking a very long time! I know great cooks when I READ one! 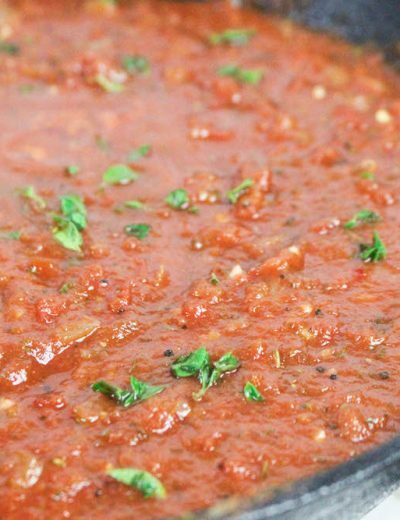 Your recipes are wonderful, simple ,and yet elegant when needed! Keep up the great recipes! You really SHOULD be on the FOOD NETWORK! Hi Sadiya. I hope you enjoyed the recipe! Hi Rosie! A warm Kia Ora/Hello all the way from freezing cold New Zealand as it’s winter here at the moment. Just letting you know that your recipes are amazing and are warming my insides and my soul! I’ve made several of your recipes now and served them up to my family and there’s absolutely nothing left over – it’s all gone 🙂 Keep the recipes comin’! Hi Rosie! It’s it too late to buy your cookbook? Can’t find the link anymore. Would love to add out to my collection, let me know please!!!!!! Sweet Rosie, hello from the Netherlands, i so much enjoy watching your vids because you make very delicious meals that are easy to make, wow i love the “Southern Comfort” food Rosie’s style! I found your youtube channel when i was looking for recipes to make turkey wings. I’m so happy i found you because now i have PLENTY of recipe ideas. You’re a God sent. I was so bored with my same ole meal choices every week. Making oxtail stew and cheesy chicken brocoli casserole real soon! I’m glad that you found me! I am so glad that I found this blog and your YouTube videos. I hope that soon you will make a cookbook as well. Thanks for sharing with us! Thanks for coming by Jameka! 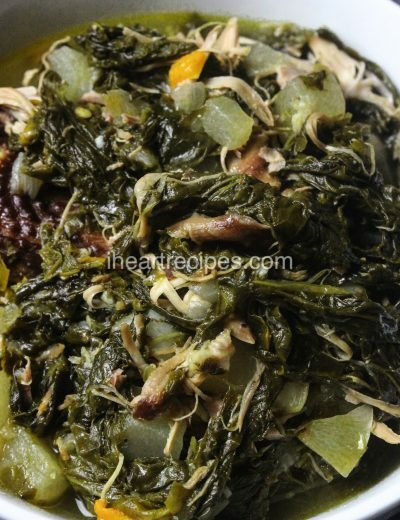 I made your smothered chicken….OMG…followed it to a T but I added green peppers…I have never had smothered chicken and wanted to do something different for my husband because he loves soul food. 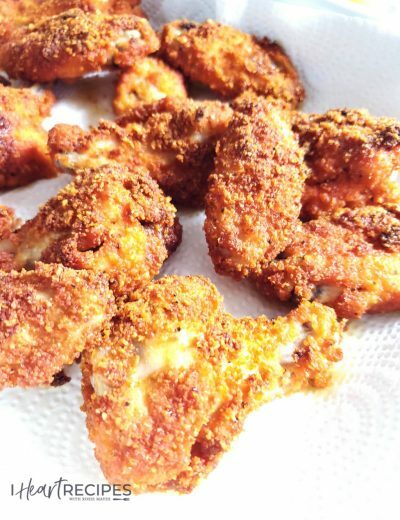 I am kinda picky….BUT this was so soulful..My son was licking his fingers and he is picky like me…My husband just sat back in his chair and looked at me and was like, “babe that was soooo good”…. Thanks for the recipe hookup!…I love your website..I’m looking forward to Thanksgiving. Girl you are awesome. God bless. I have a TON of Thanksgiving & Christmas recipes coming so stay tuned! It took me a while to find a website/blog a about good wholesome soulfood as well as other recipes. I also luv your YouTube videos. Are u going to publish a cookbook soon.? Take care and keep entertaining us with your videos. … LUV THEM!!!! I stumbled onto to your blog while searching for a good southern/soul recipe for a sweet potato pie. I didn’t spend as much time watching my mom in the kitchen as I should have, and now I’m living with that regret. My mama’s name is Rosie also, and after viewing some of your recipes they seemed similar to hers. Because of the similarities I had to try a few of your recipes. Rosie THANK YOU !!!!!! You brought back some of my childhood memories. I lost my mom Rosie to breast cancer, and some of her recipes I could not remember how she cooked it or the ingredients, and because of your blog, I am able to make similar dishes as my moms. Your peach cobbler, beans, potato o’brien is exactly as hers and your caramel cake. MMMM MMM Good. Sending prayers for you and yours. Hello Rosie I love your homemade yeast rolls and they are awesome and I think that you are too ,please keep up the good work and I sure hope that you will get a foodnetwork program because I think that you would do very well and you are a very blessed young lady. Thank you for trying my recipes! Hi Rosie love your recipes, and I do love you are frugal. I too grew up in the “hood ” NYC projects . I grew up on food stamp and the “cheese line” Lol kool aid rice and eggs rice and beans chicken. Surprise meat stews Lol . My aunt taught me how to cook at 12 and how to stretch a dollar at the supermarket. Thank you for your recipes :). Us “hood” girls, start young in the kitchen! LOL. I stumbled upon your site looking for a good recipe. I found tons of good recipes!!! I really enjoy your display of directions and delightful voice. I’m a southern girl so many of your recipes are just like my grandma’s. She’s 91 and taught me to cook “Ole school”! I would love to find a recipe for her Cat Head Biscuits. We ate them with tomato gravy. She made them in a bowl of flour with a little “well” in the middle where she mixed the ingredients….eggs, lard and buttermilk. Any thoughts? Thank you again for such awesome recipes. You are way better than the cooks on the Food Network. I don’t think that I am familiar with Cat Head Biscuits. It sounds pretty good though! I love your blogs and vids!!! I make at least two of your dishes every holiday season!! Hi Rosie, I am from North Carolina and also grew up no stranger to food assistance but I am grateful for having grown up that way because it taught me a life lesson. I stumbled upon your blog and I must say. ..WOW….I absolutely love your recipes. Thank you. Hopefully the network will pick you up. Rosie, I just came across your website/blog tonight while at work looking at recipes and I will admit I am loving your style. Your easy to follow steps and your recipes. Thanks I look forward to following you for a long time. Thanks Rosie and keep them coming! Just discovered you on YouTube! I’m going to try several of your recipes…I’m currently cooking greens in the crockpot. This is my first time ever cooking collard greens from scratch! I’m glad that you found me! I’m sure that you will pull off the greens hun! Going to make your mashed potatoes tomorrow – thanks for the recipe and Happy Thanksgiving! Hi. My name is Martha. I am cooking your Southern Smothered Chicken Tonight. I am looking forward to it. I can’t get the link you sent me to activate my account. Can you tell me why? I will let you know how dinner turns out. Thanks. the links are sent automatically. I’m not sure why yours did not go through. I had the potatoes cooked and mashed. Went to season with some pepper, and a WHOLE bunch came out. So i said we will cook rice. lol Potatoes were not ediable. lol As i get to the gravy part, its looks thick. i keep following the recipe, and low and behold, i only put in 1 cup of chicken broth. Sheesh! lol Its was still good nonetheless. I will make this again. Hi Rosie, I seen your stove top Mac & cheese on utube & I tried it. I LOVED it. 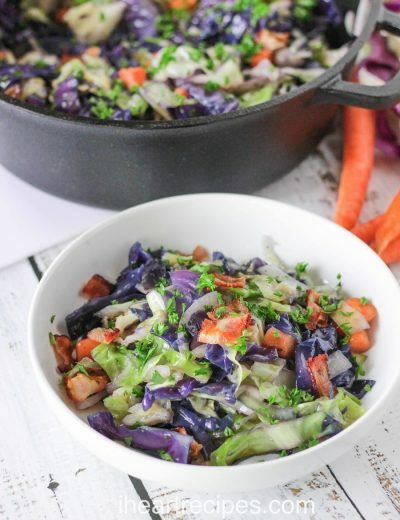 It was so delicious, so I came here to your website & I am excited about now trying the southern cabbage recipe!! My name is Consuelo. I just found you on you tube and facebook and boy am I excited. I used to love to cook, but when my oldest son was diagnosed with autism everything change. To make a long story short. I found you on YouTube a couple months ago and subscribe. I made the chili with turkey ground and I made the mac&cheese. My passion for cooking is back. THANK YOU! ! Hi Consuelo! So glad that you found me! 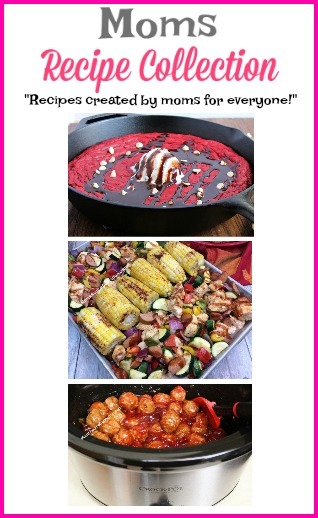 I will try to upload more easy recipes for busy parents like myself! Rosie, I found your site this morning looking for a bread recipe! I got a kitchen aid mixer for Xmas ( silly kids) and my bread is already in the pans rising! It was so easy. I tried sweet rolls from a different site last week and they didn’t rise very good. I think I added too much flour. I love your recipes and joined your site right away. However when I tried to confirm it, the computer said your page was no longer available, help! Greetings from northeast Wisconsin! Hi there!I checked and it appears that you are indeed subscribed. Hello Rosie I have been following you for about a year now. I have tried several recipes and they have been successful Planning on trying the Barque Ox Tails tomorrow. Awee thank you Kem. I’m glad that you liked the recipe! Such a beautiful woman. You’re food looks amazing! Making one of your dishes for the first time this weekend. Rosie i love your recipes but i cant subscribe for some odd reason but you are my go to girl for recipes. I could just imagine sitting at your table pigging out because i just know you do your thing in the kitchen sister girl….. Keep up the good work the recipes ate everything. I look for to seeing you on the Food Network Show soon speaking it in extincts. Are you having issues with subscribing to the list? Error message? You are such a beautiful lady that shows a great personality. I have enjoyed many f your recipes and look forward to more. You are awesome Rosie! I’ve been watching you for several years now. I’m always impressed with your style, demeanor, presentation, and of course, your recipes! Keep up the good work. I hope to see you on your own nationally televised show one day. You deserve it! Thanks Ivonne. I appreciate the kind words! Thank you for sharing your homemade from scratch caramel cake recipe. I made it today and it was delicious. You are a treasure. Can’t wait to try your other recipes. You video helped so much. I”m such a visual learner. Thanks April! I appreciate your support! Hi Dee! How about a seafood lasagna with lobster, crab, and shrimp? I’d love to make it! Hi Rosie. Can you make a recipe for a fresh strawberry pie ? Sorry. I’m allergic to strawberries. 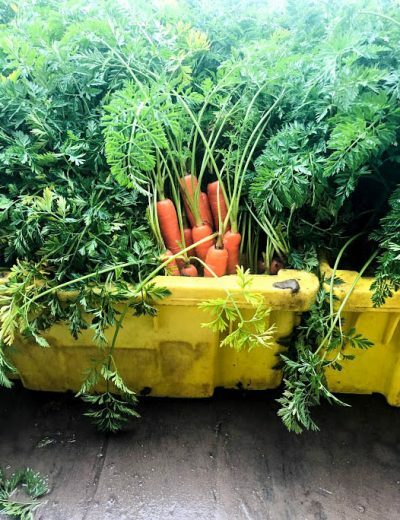 i just found your site this morning- been cking it out real good- it all looks really,realy,really good.at 4am it makes one want to get up and start cooking right now.i will be trying some out real soon. Hi Warren! Glad that you found me! Oh pity I was in the united states in May to see my son who is studying there, I could have made a leap to see you … From Ivory Coast a big kiss for your wonderful site. Rosie. 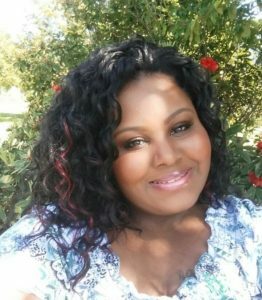 I just found your site and I too am a southern girl, raised in North Carolina. I have been cooking since I was about 11 years old after my Father died. It was just my Mom, sister and I and when I was upset, I would cook. After my sister went to college, it was up to me to cook dinner. I love cooking and baking and I can not wait to try your recipes. They use everyday ingredients that I have on had. I definitely heart your site!!!!! Southern Cooking done RIGHT!!!!! Rosie’s recipes are authentic and she makes everything easy!! Awesome! Enjoy your new CrockPot. I love mine! Today, I baked the turkey wings. They were the best ever! I seasoned exactly as suggested. I used packaged organic chicken broth, baked at 335 degrees for 2 hours). I boiled the wing tips in chicken broth. I am freezing the broth (that was boiled and the broth from these baked wings) for the next time that I need broth for this dish or for another dish. I absolutely love your recipes. I have tried several of your recipes and they were delicious. I visit your website daily to prepare my dinner. Thank you for blessing us with your talent and turning me into a wonderful cook. I don’t even know you and I’m proud of you!! I pray for your success! I Love these recipes. I’m on a quest to try everything!!! Do you have a cookbook? Hi there! I don’t have a cookbook at this time. Hi Rosie, I’m trying to spice up thanksgiving dinner this year. Do you have a good recipe for rabbit. Hi Juanita! I don’t have a rabbit recipe uploaded. Sorry. Made your Mac And cheese last thanksgiving it was a hit! Hi Geri! Glad that you liked the recipe. Hi Rosie. I was looking for a authentic southern style sweet potato recipe when I found yours. Thank you so much it was absolutely DELICIOSO. You are such a joy to me you are beautiful in sharing your recipies and in the person that you are. May the Lord continue to bless you and all you care for. Hi Maria! I’m so glad that you found my blog! Happy Holidays! I’m trying your Southern candied yams for the first time. They taste really good. I think the ground ginger really gives them just a little different flavor. Thank you so much and Happy Thanksgiving. God Bless you and your family. Hi Michael. Glad that you found my blog! 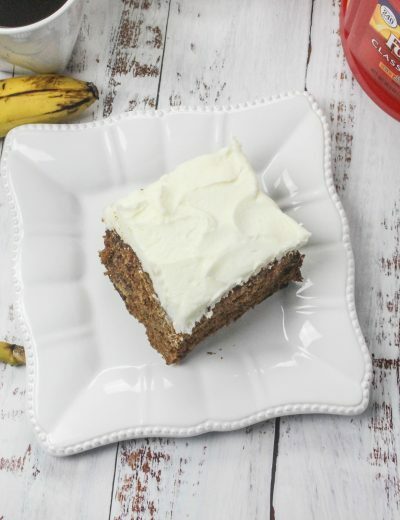 Hi Rosie, I just subscribed to your blog and your greens look sooooo yummy. Yes ma’am, will be making this on New Years Sunday 🙂 Thank you so much for sharing. Hi Laura! Thanks for subscribing! Hi Laura. I’m unsure which green bean recipe you are asking about, because I have several. Can you locate the recipe and leave a comment under it? Thanks so much. Every time that I come by your You Tube channel, I learn something new. Today I am going to try your peach cobbler and then next week the lasagna. Your a very special person for sure. Hi Jim! Let me know how the recipes come out for ya! I have to say I cant wait to try this one. Every singe recipe I have tried of yours has come out so delicious! Thank you!! I bet you your Haitian or of some sort of Caribbean heritage. Your recipes are the only ones i’ve seen which tells the reader to “clean the chicken/turkey with lemon”. Am i wrong? Hi Linda, You need to add 2 1/2 times more ingredients. Dear Rosie, I have been a fan of your website/cooking recipes for about 5 years now and I am enthralled with the results as I move through them. I sitting here right now preparing to cook your Southern oxtails recipes while watching the movie and “Julie and Julia.” It occurred to me that while I’ve ben taking advantage of your recipes, I have not contributed to your efforts. As such, while I’m sure that advertisers contribute to you for allowing them to show their product (or they should), I would like to know how may offer a small contribution of my own to you. Do you have a PayPal account? Please advise. Hi Ernest! I thank you for the kind gesture! However, you coming to my blog, and trying my recipes is more than I can ever ask for! Thank you so much my friend! thank you so much for your wonderful recipes. i enjoy cooking and baking. Thanks for stopping by Carolyn! Rosie- I made your turkey wings and classic mac n cheese! I’m a hero in yhouse. Realky! Thank you! I just made your southern smothered chicken recipe and it was the bomb. Shared it with my Mom and siblings they love it too. I need more recipes preferably dinner. Thank very kindly. Rosie, Thanks so much for your recipes. I am so glad I found your blog. I first started seeing post from friends on FB. Then I knew I had to follow you. I have printed off a few of your recipes and I plan to make them for thanksgiving. 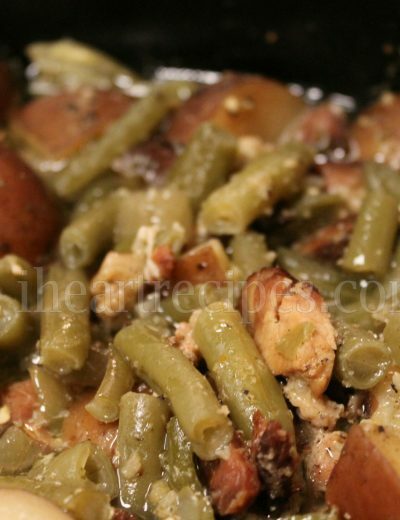 Can’t wait to try the crock pot green beans with potatoes and bacon pieces! U will hit you back to let you know how everything turned out. Have a wonderful holiday! Thanks so much for coming by Valia! I received an Instant Pot as a Christmas gift and was reluctant to use it because, I consider myself a ‘real cook’ and it was no short cuts for me! But I tried it. OMG!!! I love this thing!. I was wondering if you have any pressure cooker recipes? Rosie, I live in Germany with my German wife. I just found your meatloaf and showed my wife. Last week she made me meatloaf and it was not like yours. Hers was lean beef and it had four boiled eggs in it. Germans call it “wrong bunny”. Tomorrow I will make your meatloaf, which by the way, is almost the same as my grandmothers. Mimi was born in Mississippi in 1929 and she taught me how to cook soul food. Looking at you cook hush puppies caused me to practically drool. Tomorrow we will have “Soul Food Day” here in Germany. The problem is that these people don’t have cilantro or many of the things we take for granted in the US. Watching your videos reminds me of my childhood and just how special my Mimi was. I will look to see if you have a recipe for “cat-head” biscuits. If you don’t have one would you work on one? Mimi used flour and lard. That is about all I can remember, I was only six when I watched her. Thanks again for all you do and I hope you are blessed for what you do for all of us hungry people! I happened upon your website in a search for smothered chicken. Since then I’ve tried several other recipes. Your recipe selection is wonderful!!!! Thank you so much for sharing. Your goulash recipe was very very close to my original, as was a baked bean recipe. 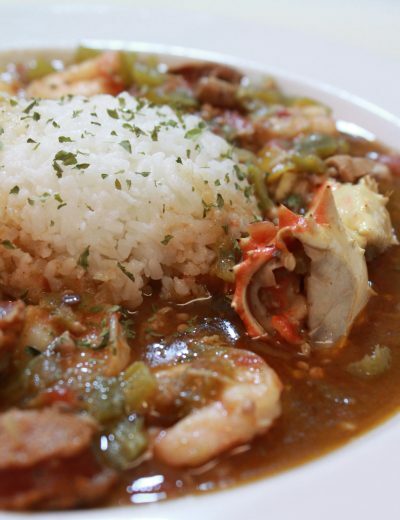 I look forward to an attempt at your gumbo recipe soon. Wish me luck! It will be my first attempt..
Made the mac and cheese…loved the flavor but was a little too runny. Your video looks like you are using less half and half and more butter than is in the posted recipe. My cheese soup and half and half was very liquid not creamy like in you video. Can you help me figure this out because I want to make it again! Thanks! also….could not find 15 oz can of soup. Will the 10 oz size work? Hi there Rosie how are you , This is Tish your dad’s wife in which I’m a widowe now. I was searching on how to make smothered chicken with gravy and your iheart blog came up on recipes that you’ve done. So if you can assist me on the best and quick way to do it, I will gladly appreciate it. Please and Thank you. Hi Tisha. You can find my recipe HERE. I hope all is well! Good morning Rosie, hope all is going well with you 🙂 Rosie, what would be a good side dish (like a vegetable) to fix with scalloped potatoes? Love this, you are awesome and continue to do YOU!! I’m Miss Mary and I live on the extreme opposite end of the country from you, and that would be a small suburb just outside of Atlanta, Georgia. I just stumbled on to your seafood lasagna recipe and it look like it is to die for! I have been searching for a great seafood casserole recipe. With the exception of the pasta, your recipe comes closest to what I’m looking for than any I’ve seen. 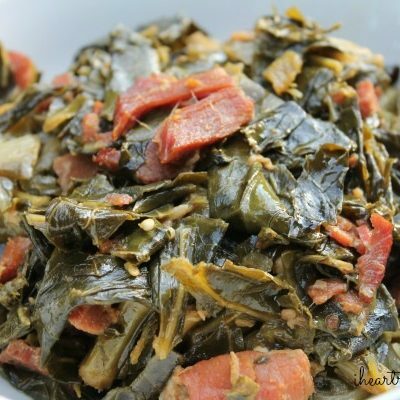 My family roots (both sides), are from rural Georgia, so southern cooking abound in my DNA! But, I so enjoy preparing and tweaking recipes handed down from my great-grandmother, grandmother, and mother. I take what I think is the best of their stuff and add mine to it. I’m proud to add your recipe(s) to my food arsenal!! Thanks and love you for sharing! I can’t wait to try some of these recipes! The pictures have me absolutely drooling! You are the Bomb!! I wanted me some back in the day smothered oxtails like my grandmother use to do it. 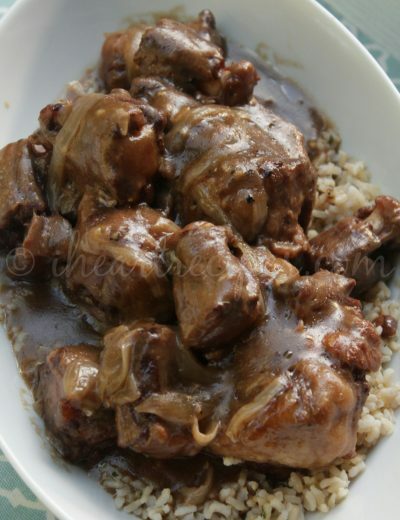 So I typed into my search engine for “oxtail recipes” OMG! your beautiful photo of smothered oxtails appeared. All I said was “I Got to have it”!. Glad that you found me! Hola Rosie!! Quick question, can I use frozen corn instead of canned corn? Will it come out the same? Yes, I will use the creamed corn in a can but what about the frozen? Also, are you sure this isn’t going to be too sweet using a 1/2 cup of sugar? I’m asking now b/c I have no time to do a trial run??? lol I trust you but lawwwdddd I’m scared that that’s the right amount. Thanks! Love ya! I’d stick to the recipe listed. Also, I’ve tried this recipes 100s of times. I’m sure LOL! Happy Thanksgiving Rosie!! You helped me save dinner today. This year I needed a mac and cheese recipe with no eggs,then enters your soul food macaroni and cheese recipe. I had naysayers questioning all the cheeses and cream cheese, but they were quickly silenced-lol. Thank you Rosie, my search for a good mac and cheese recipe is forever over. God bless you, sis. I tried the Ox tail recipe they were great!! fall off the bone delicious… it was an effort to obtain ingredients in Japan and it was well worth it. Every Christmas my mom made Ox tails for us… smiling now!! Hi Rosie & Happy New Year! I used your recipe for the black eye peas and OMG they were delicious. Thank you so much for sharing your amazing recipes. I wish you many blessings in the New Year. 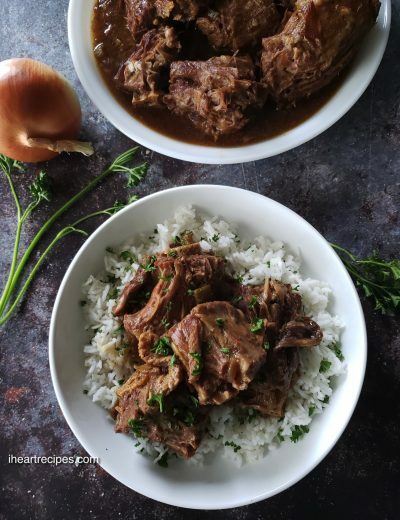 I Made your OXTAIls last night, and they were a big hit. Will stay in your cookbook for a while!! I cannot put into words how big a hit your smothered turkey wings was! I’ve made them on 2 occassions, most recently when my sister had her baby. Loved them! Outstanding. Congratulations on the new blog! It looks wonderful! Your recipes are amazing and delicious. I love to explore and try one of your recipes at least once a week. Great reviews from family and friends. Thank you for sharing your amazing work and talent. Our holidays are like giant family reunions, and your recipe has become my Easter tradition to bring to the big family dinner.